Mastering Project Portfolio Management is focused on helping organizations master the decision making science of project portfolio management and is best suited for mature organizations wanting to perform advanced portfolio management. It is also great for MBA or Executive MBA students wanting to learn how to develop an organizational data-driven decision making process. Mastering Project Portfolio Management is perhaps the strongest book on the market related to the decision-making science of PPM; the authors state in chapter 1 that “the essence of PPM is reasoned decision making”. The authors arranged for readers to access Expert Choice, a leading decision making software tool, and include significant material on how to utilize the software to make better portfolio management decisions. In addition, each chapter of the book is based on a portfolio management framework they developed, which helps provide structure for the material. 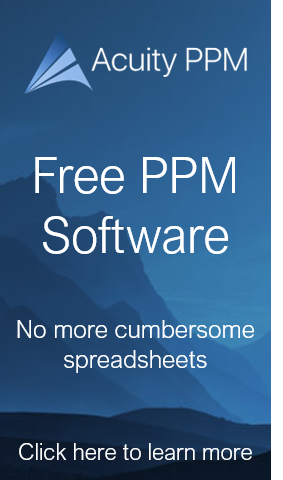 Chapter 1 provides a great overview of PPM. In one example, the authors compare portfolio management with a ship captain ordering course corrections to the helmsman. “As strategic plans change, the portfolio must change, requiring the portfolio process to be adaptable, flexible, and responsive to rapidly adjust its limited resources in an ever changing global market place.” Chapter 2 covers four key steps for establishing the strategic foundation for solid portfolio management (defining the mission, developing the vision, establishing goals, determining objectives). In my mind, chapters 3 and 4 are the real heart of the book as it goes into detail on the importance of ratio scale measurements and using the Analytical Hierarchy Process (AHP) to prioritizing objectives and projects. “The ability to structure decisions, measure options, and synthesize the measurements to derive priorities is critical to implementing an effective PPM process and in selecting optimal portfolios.” This book provides the clearest explanation on why ratio scale measurements should be used and how AHP enhances portfolio decision making. 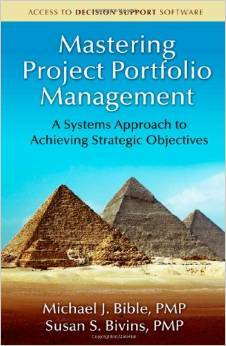 Chapters 5-9 continue to develop the PPM framework for identifying, evaluating, and selecting a project portfolio. Chapters 10 focuses on portfolio governance and chapter 11 covers the implementation and evaluation phases by discussing how to utilize earned value management (EVM) to evaluate performance. For organizations ready for advanced portfolio management, Mastering Project Portfolio Management is worth looking at.